Need an air conditioner or heat pump installed, serviced or repaired? Contact us online or call 1-800-888-1045. Why Should I Depend on Sundance for My Air Conditioning and Heat Pump Needs? Are a company that Puget Sound homeowners have trusted for more than 30 years. Always offering great, reliable customer service. What Air Conditioner and Heat Pump Brands Do You Repair and Install? 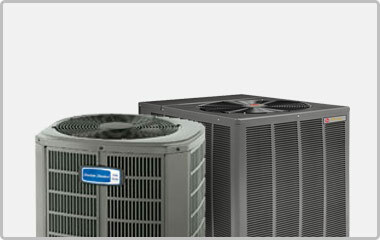 We repair, maintain and install all air conditioner and heat pump brands and models. A heat pump is an air conditioner that can also work in reverse to heat your home like a furnace does. Cuts the amount of electricity you use on heating by 30% to 40% if you heat with electricity. One product that both heats and cools your home. There are also ductless heat pumps which can heat and cool a single or multiple rooms without the need for ductwork, making for an inexpensive installation for Western Washington homeowners who don't already have a heating and cooling system. Do You Install High Efficiency, Energy Star Rated Air Conditioners and Heat Pumps? Yes, Sundance Energy Services installs high efficiency air conditioners with SEER ratings up to 26 and heat pumps with HSPF ratings up to 11.5. Ask us about available rebates for high efficiency models.